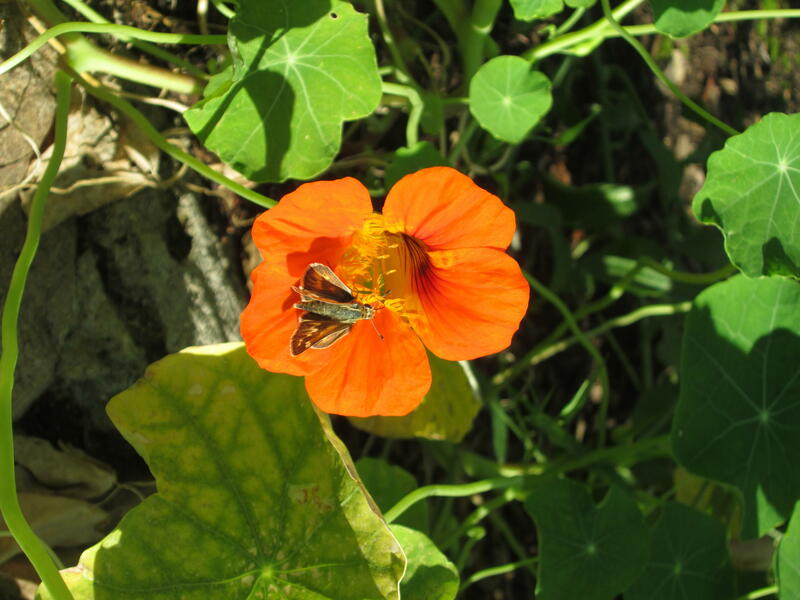 Observation notes: I got this photo by accident - was just photographing the nasturtium and the little guy flew in. I have never seen a moth with wings like this, one set flat along the plane of its body and the other held almost perpendicular (you can see the shadow they cast in the photo). It flew away after a few seconds, apparently happy and healthy, so I'm assuming the wings are exactly the way they're supposed to be. Coordinator notes: This is not a moth, but a skipper.